On 7th December 1999 – eleven years ago today – The Recording Industry Association of America filed a lawsuit against Napster alleging copyright infringement. It was the start of a now familiar territory dispute that rages ever on between listeners and labels. In some respects today marks the eleventh birthday of the great and terrible new age of music – the controversy of file sharing coupled with the benefits of new media/technology. Today is the Easter to the Record Industry’s Jesus: as we entered the 21st Century the traditional music economy was entombed and then born again. There is very little I can add to this debate that hasn’t already been covered by every other label stooge in the business (and I am well aware that this blog is fast becoming a book of first chapters). As far as I’m concerned pirates (both those with eye-patches and those with iMacs) have always driven industry forward. We have them to thank for faster ships, more powerful cannons, fancier encryption software etc etc. They literally chase technology forward. Every music industry conference I have ever been to addresses the problems of illegal file-sharing and, disappointingly, the debate rarely gets much further than widespread grumpy harrumphing. For independent labels like mine free downloads are an invaluable tool for publicity. The artists on Debt Records give away loads of material and it doesn’t bother any of them because they are all live players that wouldn’t be well-served by the mainstream marketplace anyway. Our principle goal has always been to up the performance fees of our live acts until they reach a sustainable level (I’ll be talking about sustainability in a later post – it’s a very fashionable topic on the panel circuit at the moment). Free music is one method of doing that. I’m not denying, however, that it is all a lot more complicated than I’m making out. As I understand it, file-sharing has been particularly unkind to the dance music industry (who employ great teams of online heavies to stalk the internet and rough up those attempting to pilfer their wares). If you make, sell or promote Dance music I’d love to hear from you – I’m generally interested in this side of the business simply because I know next to nothing about it. So what do you think? 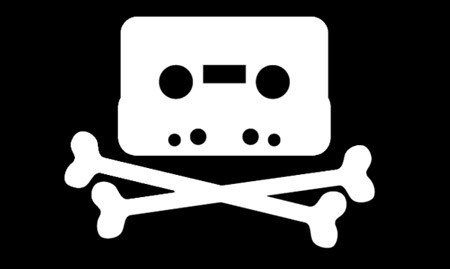 Were companies like (the now reformed) Napster pioneers or buccaneers? Write your answer on a piece of parchment, stick it in a bottle and throw it out to sea.